In what promises to be a thrilling encounter, PAOK host Chelsea in Thessaloniki for the first match of Group L in the 2018/2019 UEFA Europa League. AGONAsport takes a closer look at the English club. Watch LIVE from AGONAsport: PAOK - Chelsea, UEFA Europa League matchday 1 on Thursday September 20th. Details here. Founded in 1905, Chelsea quickly gained a reputation for signing big name players and for attracting large crowds, but failing to win major trophies. Initially, they spent 30 of their first 40 seasons in the First Division, often finding themselves languishing in mid-table or battling relegation. Chelsea finally managed to end the drought after they appointed manager Ted Drake who led them to the club’s first major trophy by winning the 1955 League Championship. They enjoyed a successful stint throughout a 10-year period between 1963 and 1973 where they tasted glory in the 1965 League Cup, 1970 FA Cup and 1971 UEFA Cup Winners' Cup in 1971. Chelsea were also FA Cup runners-up in 1967. However, the club later found itself in debt after trying to redevelop their stadium Stamford Bridge, resulting in the club being on the brink of extinction. Nevertheless, despite their troubles, the Londoners subsequently fought resiliently in order to win the Second Division and secure a place back in the top tier of English football. In 1997, Chelsea began to improve again, winning the 1997 FA Cup, the 2000 League Cup and 1998 UEFA Cup Winners’ Cup. The club also qualified for the UEFA Champions League for the first time in their fascinating history. Chelsea were bought by Russian billionaire Roman Abramovich in 2003 and that’s when the club really shot to fame. Under the guidance of the well-known Portuguese manager José Mourinho, Chelsea claimed two English Premier League titles, an FA Cup as well as two League Cups in three seasons. Former player Roberto Di Matteo then received the role as manager, notably steering Chelsea Chelsea to their maiden UEFA Champions League title in 2012 with a dramatic triumph over Bayern Munich in the showpiece final. Jose Mourinho returned to the club and won the Premier League for Chelsea in the 2014/2015 season, but he suffered the sack. The following season Chelsea went on to win the league title yet again with Italian boss Antonio Conte in 2016/2017. 59-year-old Maurizio Sarri was appointed manager in July 2018 one day after the departure of fellow Italian Antonio Conte. His first game in charge was a 0:2 defeat against Manchester City in the FA Community Shield, but in the English Premier League, his debut outing ended in a 3:0 win away to Huddersfield. So far, Sarri’s appointment is paying dividends as Chelsea currently sit on top of the English Premier League table with five wins from five games. Sarri encourages his teams to play a fast, counter-attacking style of football. Chelsea’s main man is versatile Belgian Eden Hazard. The attacker has the ability to play on the wing or either as an attacking midfielder. At Chelsea, he has now matured into a world class player, and in the summer he was heavily linked with European powerhouse Real Madrid. Hazard has had an incredible start to the season after returning from the 2018 FIFA World Cup in Russia, registering an impressive five goals in a mere five appearances. N'Golo Kante is another key player for Chelsea. In 2015, he made a name for himself once he signed for Leicester City and played a major role in helping the club win its maiden English Premier League title. 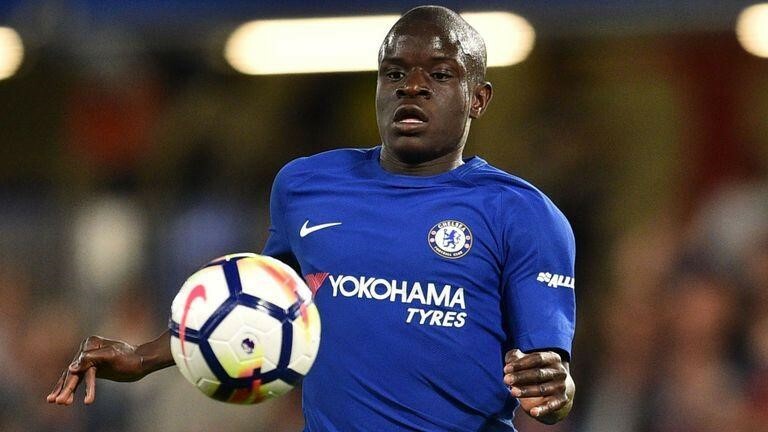 In the past season, Kante joined Chelsea for a transfer fee of 32 million euros, going on to turn into a star figure and winning the 2018 FIFA World Cup with France. Kante is known as an energetic, hard-working player, possessing the talent to read the game perfectly and intercept opposition attacks. Kante was once described by Antonio Conte as the “complete midfielder”. In a brilliant response to a fifth placed finish in the 2017/2018 English Premier League, Chelsea have come flying out of the blocks this time, earning the three points in all of their opening five matches and scoring 11 goals along the way. The London organisation fully expect to at least finish in the top four in this campaign and return to the Champions League, a tournament in which Chelsea believe they belong. Olympiacos were drawn to play against Chelsea in the 2007/2008 UEFA Champions League round of 16. Olympiacos hosted the first leg in Piraeus in which the result was a 0:0 draw, however in the decisive return, Chelsea were too strong for the Thrylos and won 3:0 thanks to goals from Michael Ballack, Frank Lampard and Salomon Kalou.